It seems today that organic foods are becoming more and more popular. Information is being spread everyday that is showing the benefits of switching to organic and with many of us becoming much more conscious of our bodies, the push to go organic is increasing. While some argue this fact still, more information is beginning to spread about the benefits of buying organic as it relates to nutrition. Studies that have been completed to test to nutrient value of organic produce vs non-organic produce reveal a striking difference between organic and non-organic produce. Sure, buying organic can be more expensive in some cases vs buying conventional, but much of the time a couple lifestyle changes to weed out things that aren’t healthy for us to begin with can make room for the added cost of organic. If you truly can’t afford all organic produce, here are some tips on which to really focus on. Remember though, buying all organic is not just about avoiding pesticides but also about buying a better, more natural, cleaner and more nutritious product. According the Environmental Working Group, pesticide residue ingestion can be reduced by approximately 80% when the dirtiest conventional fruits and vegetables are avoided or swapped for organic. Pears are the second most popular fruit in the United States and are a good source of vitamins A, C, K, B2 and B6, along with calcium, magnesium, potassium, copper, manganese and fiber. Not only does this hypoallergenic fruit contain the antioxidants hydroxycinnamic acid and quercetin, nearly 95% of conventionally grown pears sampled by the United States Department of Agriculture (USDA) in 2010 also showed at least one of 30 pesticide residues. Peeling a conventional pear will reduce chemical exposure somewhat but also reduce its nutritive value because the skin is loaded with vitamins and fiber. It is therefore best to spend more on organic pears and consume the entire fruit. A staple of American and European diets, potatoes are loaded with vitamin C, vitamin B6, copper, potassium, manganese, tryptophan and fiber. 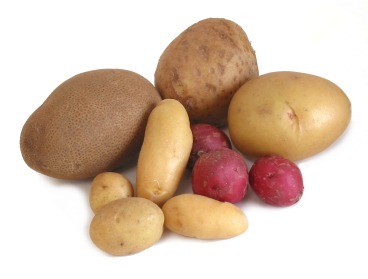 These tubers are particularly likely to absorb chemicals built-up in the soil as they grow and are a pesticide intensive crop. Potatoes are a smart organic purchase because over 79% examined by the USDA showed chemical contamination and their price is competitive with conventional potatoes. Like the pear, peeling the skin will reduce–but not eliminate–pesticide and nutrient values. Bell peppers are heavily sprayed with insecticides and their thin skin, even if blistered and removed, does not offer much of a chemical barrier. Vitamins C and A increase in bell peppers as they turn from green to yellow and eventually red but so does the amount of pesticides used on the ripening fruit. 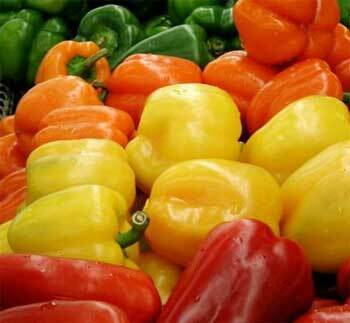 Unlike hot peppers which contain capsaicin, pests are not deterred from eating the sweet flesh of bell peppers. USDA data showed 68% of conventional bell peppers were coated with pesticides. As with all produce, washing will help remove some of the residue but considering their contamination levels, it is worth paying more for organic bell peppers. 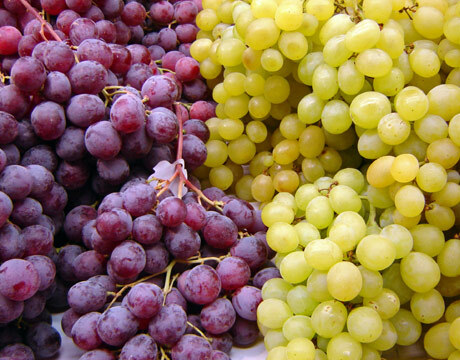 The vast majority of table grapes are imported into the United States from Chile which lacks stringent fertilizer and pesticide regulations. Vineyards are sprayed frequently with a variety of pesticides during the lifecycle of the grape. No amount of rinsing or tedious peeling can eliminate chemical contamination due to grape skin permeability. Imported organic grapes are virtually nonexistent and astronomically expensive. Instead, buy domestically grown conventional grapes to reap the benefits of vitamins C, B1 and B6, along with manganese and potassium. When seeking heart healthy resveratrol, the same guidelines apply to wine. Imported nectarines are rich in vitamin A, vitamin C, niacin, and potassium but also pesticide deposits. The USDA found over 97% of conventionally grown imported nectarines had varying levels of 33 pesticides. Like grapes, the vast majority of imported nectarines originate in Chile where pesticide enforcement is lax. Conventional California nectarines are widely available in the United States for a better price and, because they do not travel as far, they are often tastier and have fewer shelf life extenders. Popeye’s enthusiasm for spinach was not misplaced– it is a great source of vitamins A, B6, C, E and K, not to mention thiamin, riboflavin, folate, calcium, iron, phosphorus, copper, manganese, magnesium and protein. Pests also love this leafy green so 57 different chemicals can be used on spinach. The USDA found nearly 84% of spinach had pesticide residue, making it the most contaminated green. The price of organic spinach has decreased in recent years but it remains expensive. Instead of eliminating spinach from your diet entirely, try planting it in a container garden and it should thrive. 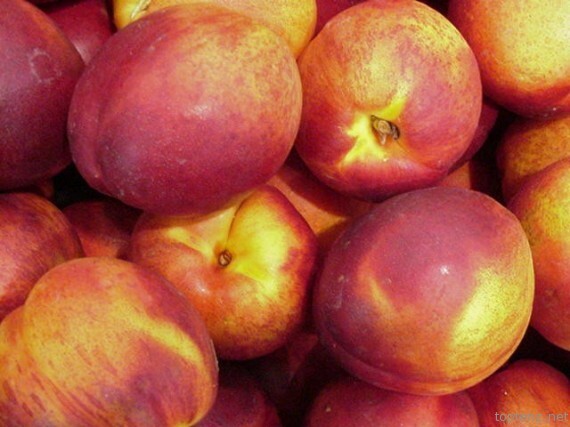 Second only to apples, peaches are the dirtiest tree fruit. Multiple pesticides are sprayed on conventionally grown peaches with 98% of them remaining contaminated in the market, according the USDA. Even if you bother to peel it, the peach’s delicate skin had already allowed pesticides into the juicy flesh. 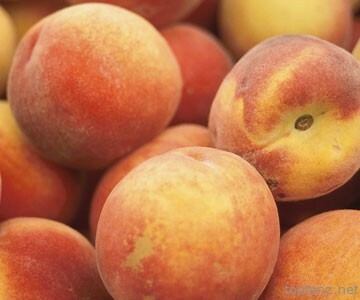 In order to get its benefits of niacin, thiamine, potassium, calcium and vitamin A, pay extra for organic peaches. If they are too expensive, look for conventional peaches which are locally-grown and darker– they contain more vitamin A and fewer additives to maintain shelf life. Even conventionally grown strawberries are expensive but organic berries are almost a luxury item. Non-organic strawberries purchased off season likely originate in a country with loose pesticide regulations. 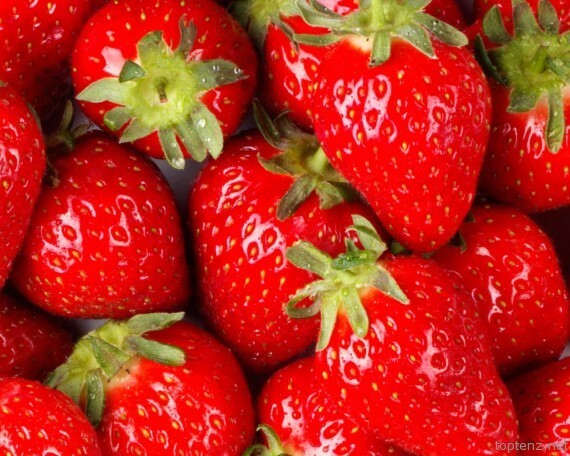 Almost 90% of conventionally grown strawberries on grocery store shelves are chemically contaminated. To reap its benefits of vitamin C, manganese and fiber, bite the bullet and pay extra for organic, especially if you have kids. Children gobble up strawberries by the tiny handful and their immune systems are susceptible to chemical overload. As an added benefit, organic strawberries are not irradiated so they are typically more flavorful than their conventional counterparts. This crunchy, low-calorie vegetable is loaded with vitamins A, C and K, plus folate, potassium, manganese and dietary fiber. 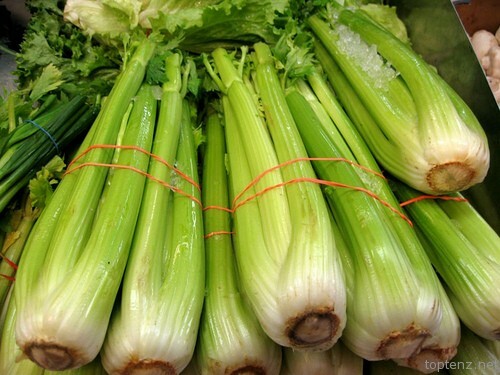 Celery has a minimally protective skin and chemicals run right through the veins, thereby contaminating the flesh. Thorough washing and vein removal will not eliminate the pesticides which the USDA found on more than 94% of conventionally grown celery. The price of organic is somewhat competitive with conventional celery so paying a little more makes sense. An apple a day will not keep pesticides away unless you eat organic apples. Most of the chemical contamination found on 91% of USDA tested apples resided on the skin. However, the peel also contains much of the dietary fiber and beneficial phytochemicals which make apples so healthful. A good washing of conventionally grown apples will reduce, but not entirely eliminate, pesticides. To keep the price down, purchase organic apples in bulk and store them individually wrapped in newspaper without color printing in a cool, dark place away from potatoes. Their high vitamin C content can thereby be enjoyed several months after the fall harvest. So, if you can, buy everything organic and eat as clean as possible. But if it really comes down to having to pick and choose, here are some tips.